WARSAW, Poland--(BUSINESS WIRE)--The Prime Minister of Poland, Mateusz Morawiecki, and the United States Ambassador to Poland, Paul Jones, today announced the formation of the Polish Chamber of Commerce in the United States, an organization dedicated to promoting and strengthening the business and economic ties between Poland and the U.S. 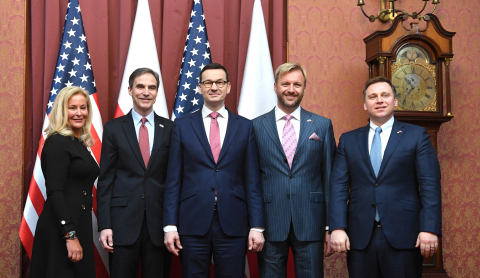 The Chamber, based in Washington, D.C., will seek to facilitate trade and investment between American companies and the private and public sectors in Poland, and will serve as a partner to U.S. enterprises launching or expanding in Polish markets. The Chamber will actively work with the Polish government and various U.S. and Polish trade organizations to provide cohesive and coordinated support to U.S. industry. The Chamber will seek to build on what is already a robust bilateral trade relationship between Poland and the U.S. The total amount of trade between the countries has doubled since 2010 and Poland is now one of the U.S.’s largest commercial partners in Central Europe. Poland is a growing export market for American manufactured goods including automobiles, medical devices, pharmaceuticals, chemical products, agriculture, aerospace and defense, and numerous other products and services. 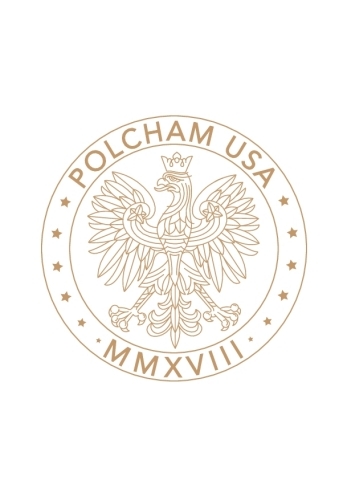 Notably, the Polish government recently announced a series of multi-billion dollar projects with American aerospace and defense contractors that will help to modernize the Polish military and maintain Poland’s defense spending in excess of its NATO commitment of 2% of GDP. Strong and entrepreneurial private sector that drives 80% of economic growth. Due in part to these very favorable dynamics, Poland has averaged 7% annual GDP growth since its transition to a free market in 1991. Moreover, it is among the only economies in the world to achieve the remarkable feat of posting uninterrupted positive GDP growth every year over the past quarter century. During that time, the economy multiplied in size and the average income in Poland increased six-fold. Since the financial crisis, Poland has achieved the highest rate of per-capita growth of any EU nation. Today, Poland’s 40 million citizens represent a large and growing consumer market with a great affinity for American culture, brands and products. Christopher Jamroz will serve as Chairman of the Polish Chamber of Commerce in the United States. Mr. Jamroz is currently the Executive Chairman of St. George Logistics, one of North America’s largest logistics companies focused on the import/export supply chain. The Chamber and its staff will be based in Washington, D.C.